There seems to an App for just about everything, and searching the app store on your smartphone or tablet can at times be habit forming. 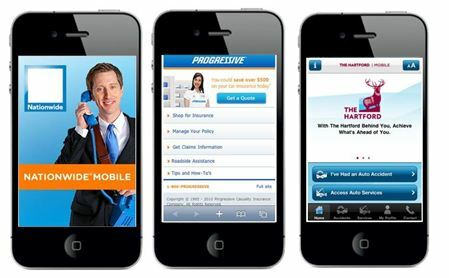 If you are into self-service, you may want to check out the many benefits found through mobile insurance apps. Most major insurers are now offering a convenient 24/7 access to managing your auto insurance policy. Posted on May 31, 2012, in Auto and tagged 24/7, AARP, Auto Insurance, Gilliland Insurance, hartford, insurance app, Iphone, mobile, nationwide, Policy Service, progressive, Saint Augustine, St Augustine. Bookmark the permalink. Leave a comment. Receive News Updates Via Email!